Death of Colonel Ulric Dahlgren. 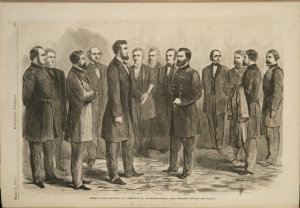 Ulysses S. Grant receiving his commission as lieutenant general from President Lincoln. 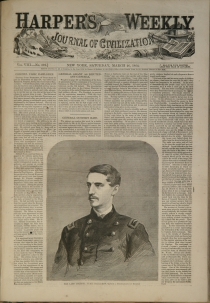 Centerfold: General Custer’s late movement across the Rapidan. Mobile, Alabama. [ABRAHAM LINCOLN]. Newspaper. 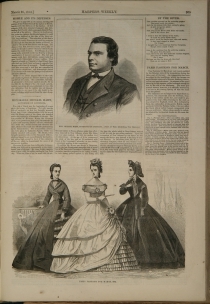 Harper’s Weekly, March 26, 1864. 16 pp., complete, disbound.